For additional information about this book, visit the website anythingotherthannaked.com. Glen Sondag has written a veritable bible on what men should wear, when and how. This book is like having your own personal valet (in print form). Whether you want to know how to choose a suit, what shoes are needed in your wardrobe, or how to tie a tie, Sondag has the answer. 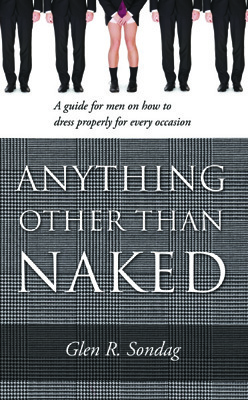 With helpful, straightforward tips and illustrations, Anything Other Than Naked is the must-have guide for any man who endeavors to look his best no matter what the occasion.